Welcome to the Somerset wildlife database. By entering your sightings you are directly contributing to protecting wildlife in Somerset. SERC works with partners all across Somerset ensuring sightings are passed to those who need this information, which in turn helps to protect wildlife by providing decision makers with up to date knowledge on the State of Nature in Somerset. Please wait while the database window refreshes – this may take a few seconds. The Somerset Geology Group, in partnership with the Somerset Environmental Records Centre (SERC), is undertaking a project to review Somerset’s 230 Local Geological Sites (LGS). 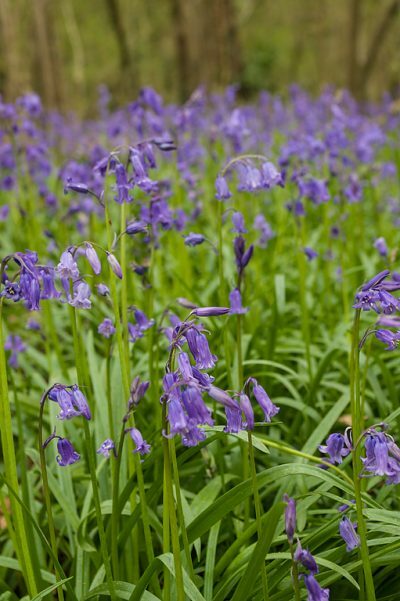 Bluebells are beginning to appear - where have you seen them? SERC is interested in all records – please don’t assume that we already know. Records of rarities are always useful and can aid conservation efforts, but equally important are records of widespread species. All records can be useful for plotting the distributions of species both locally and nationally, and for detecting trends.